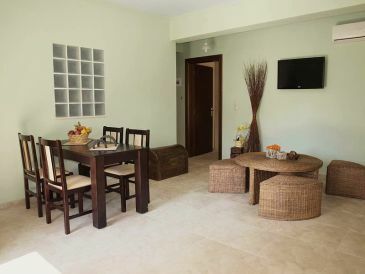 140 sqm. 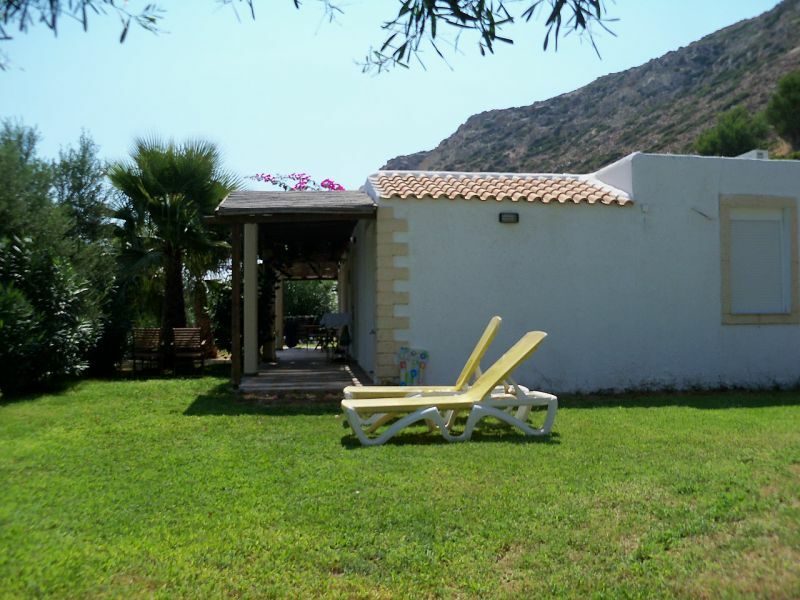 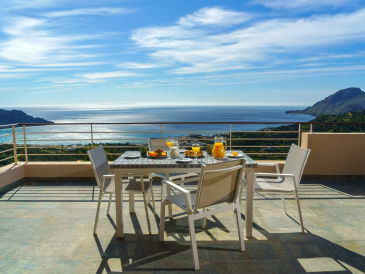 new built villa in a picturesque village in South Crete , ideal for big families or even 2 families, or even one group. 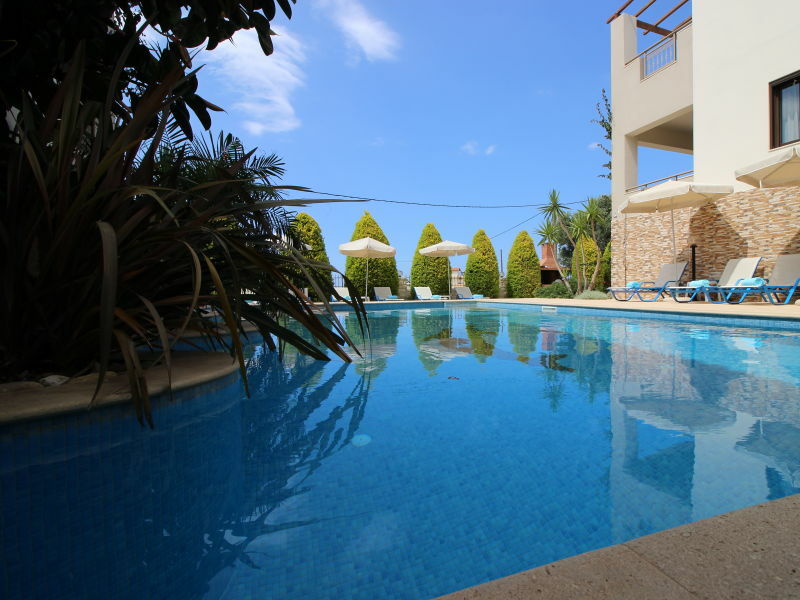 Apartment Petaloudes 80 m² for 5 persons with seaview, swimming pool, washing machine and parking place. 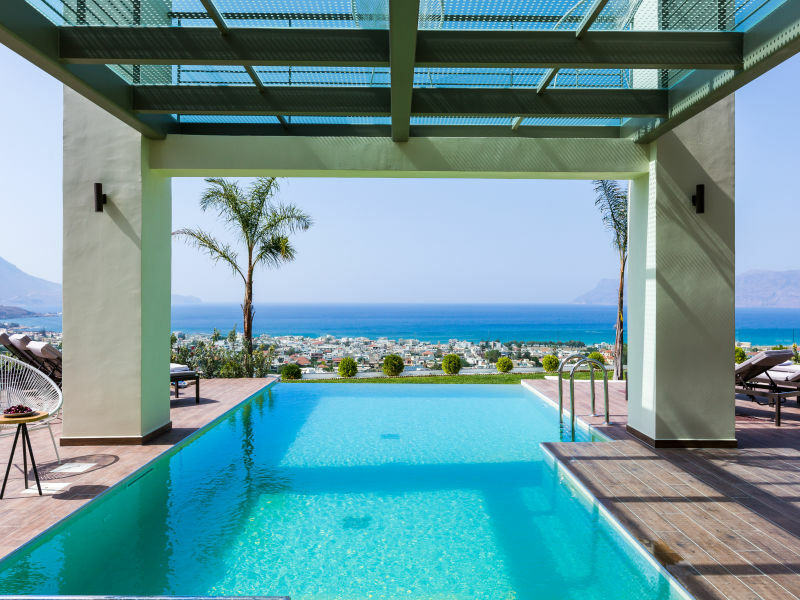 Dreamlike villa with a gorgeous panoramic view of the Libyan Sea and Crete's highest mountain, between Kamilari and Kalamaki. 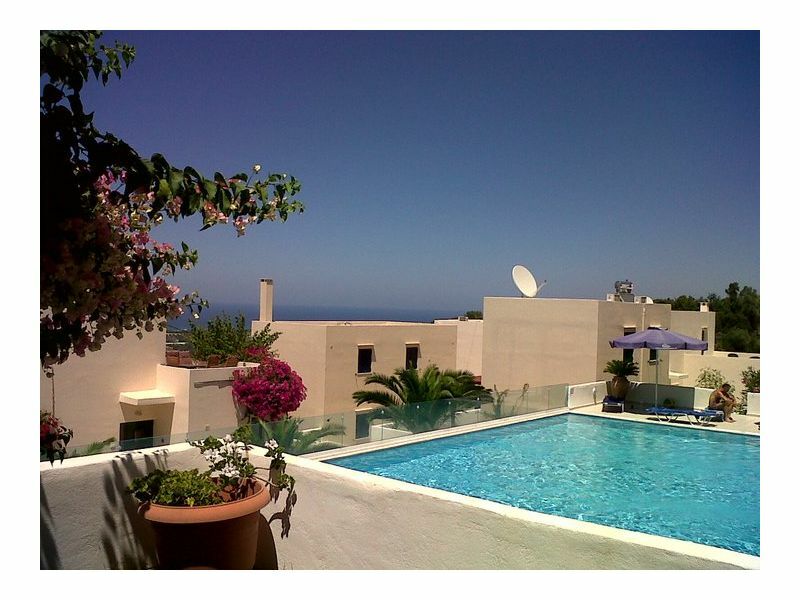 1800 metres to the ocean. 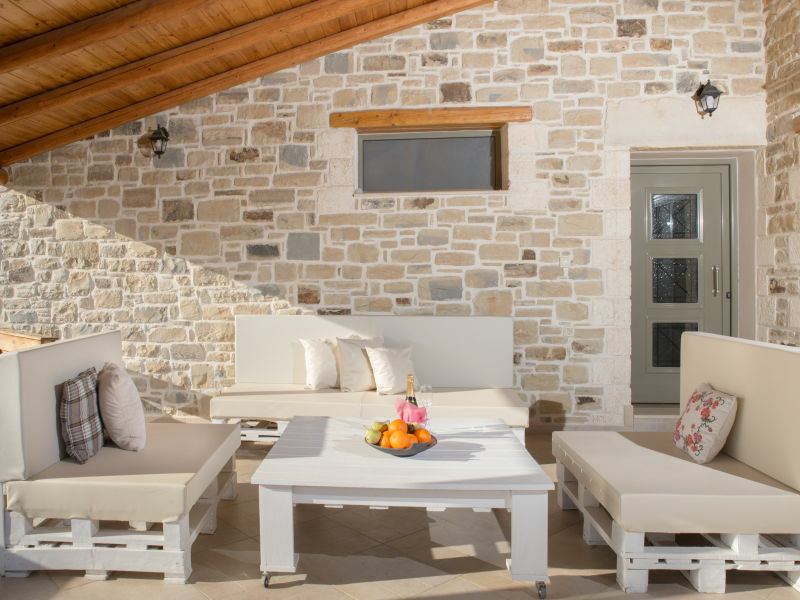 Welcome to Leonidas villa, a villa which is ideal to accommodate families up to 8 persons. 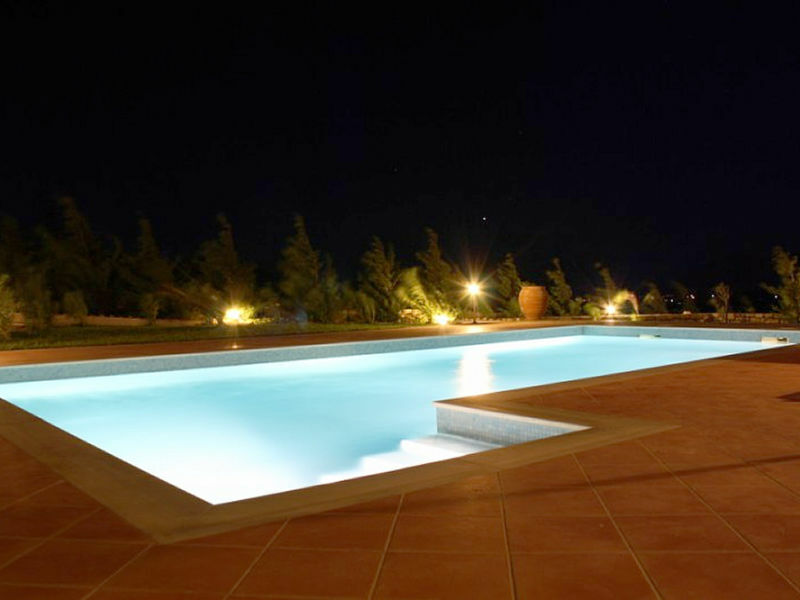 Wonderful vacation villa with private pool for 6 persons on Crete in Hersonissos. 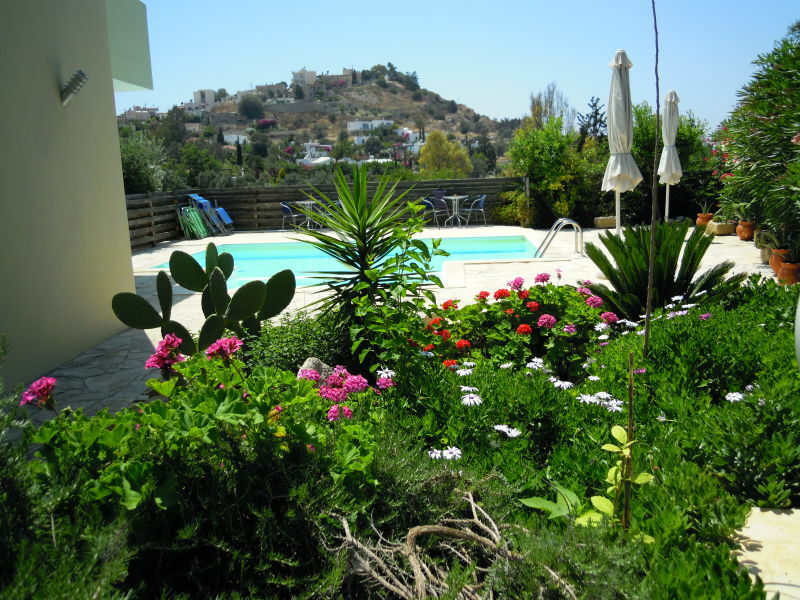 Welcome in our beautiful holiday apartment with 2 terraces and shared pool on Crete! 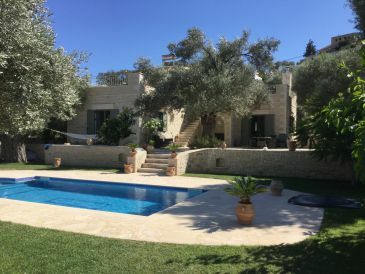 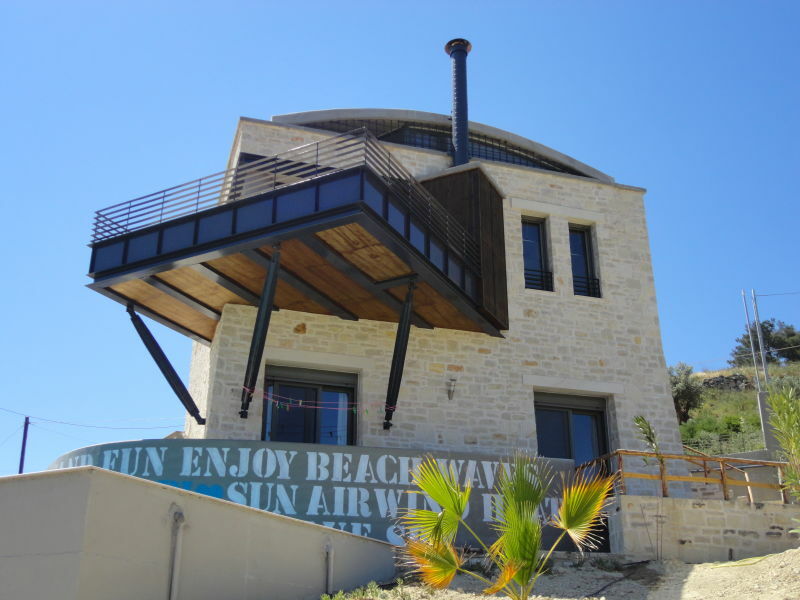 In Matala, 200 m away from the beach with its famous caves, Villa Dream is a new build villa on a small hill with panoramic view to the sea. 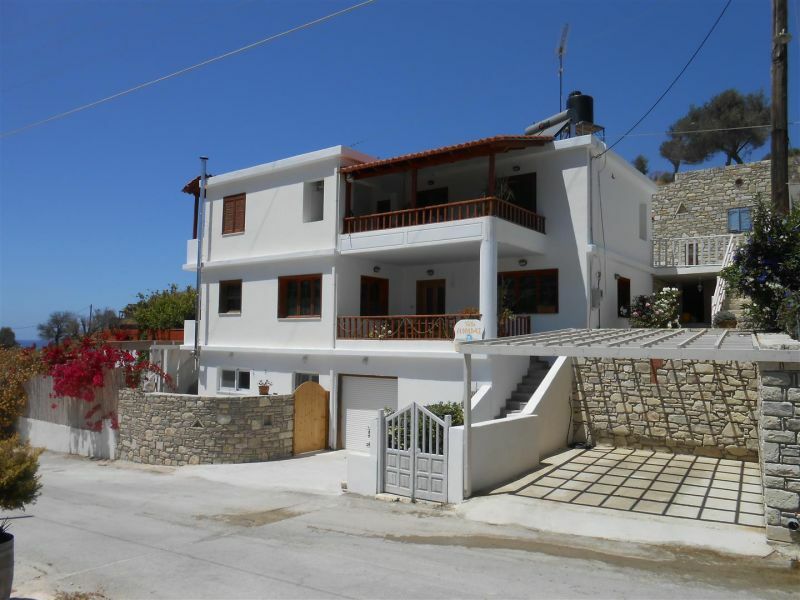 Spacious, modern, comfortable class'A Pension. 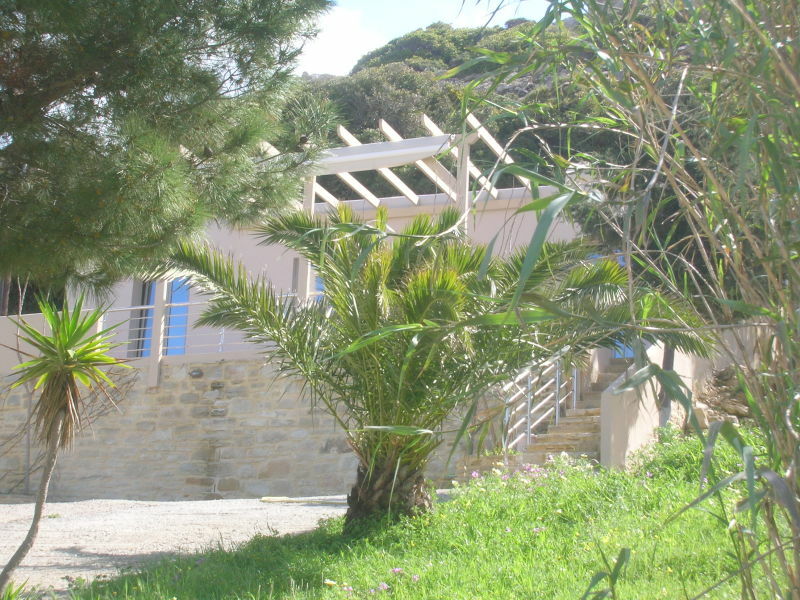 15 minute walk to Comos Beach. 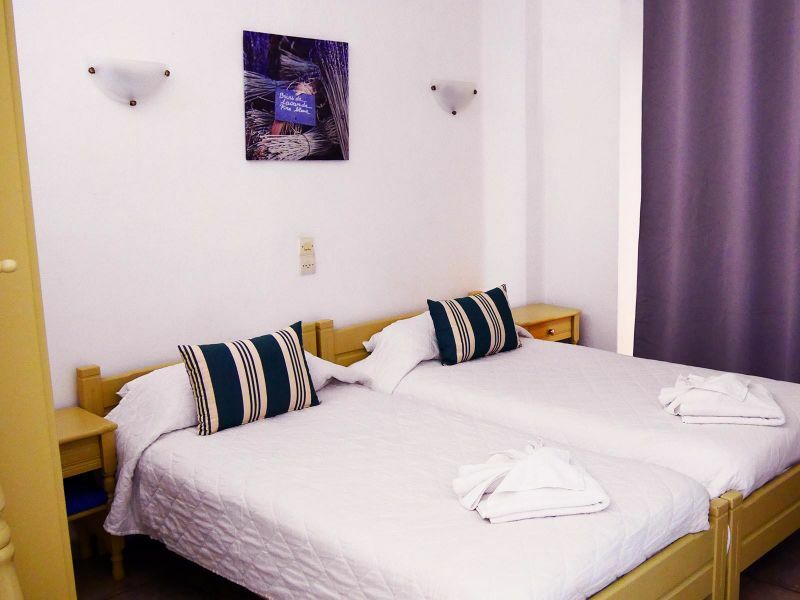 Friendly,helpful and family atmosphere. 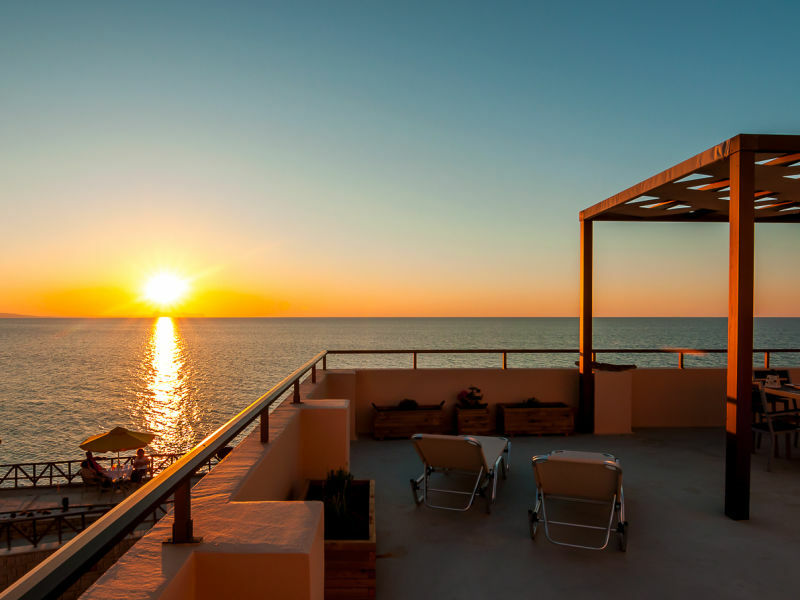 Always memorable! 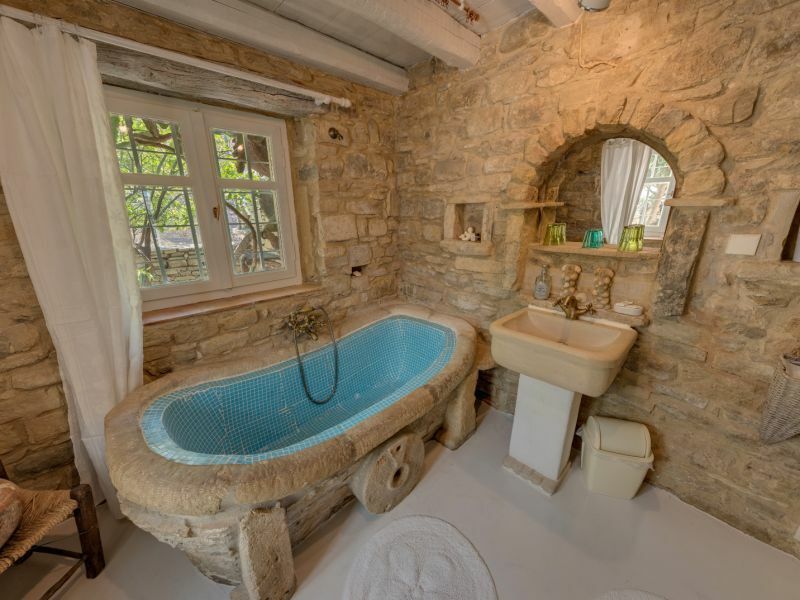 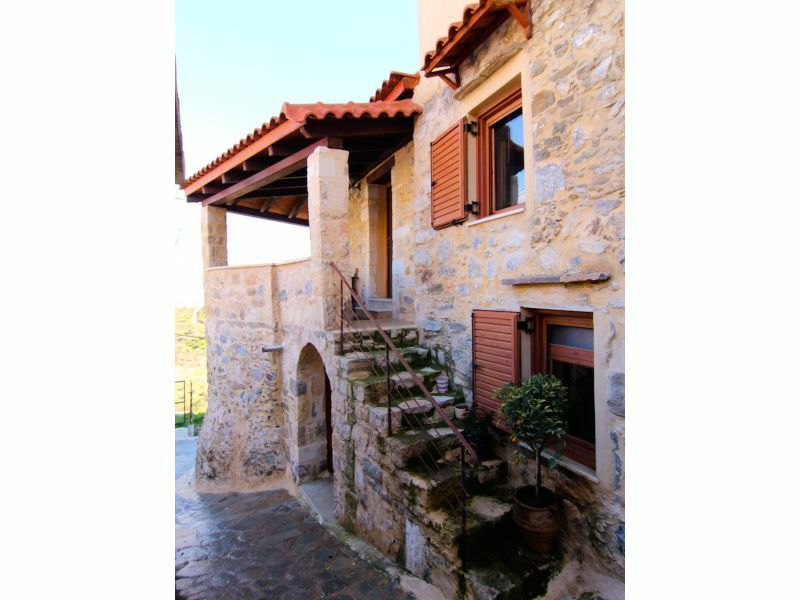 Afroditi Traditional House is an original Cretan house from 18th century, perfectly restored the year of 2010. 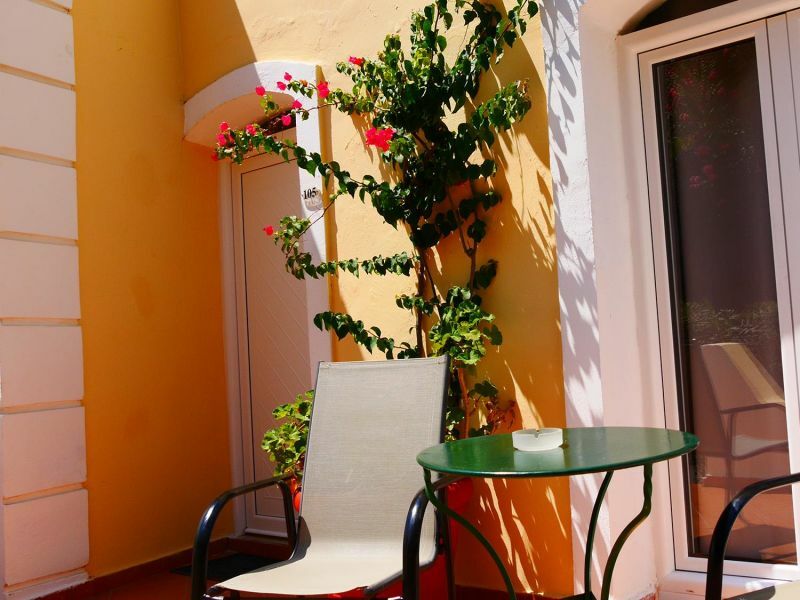 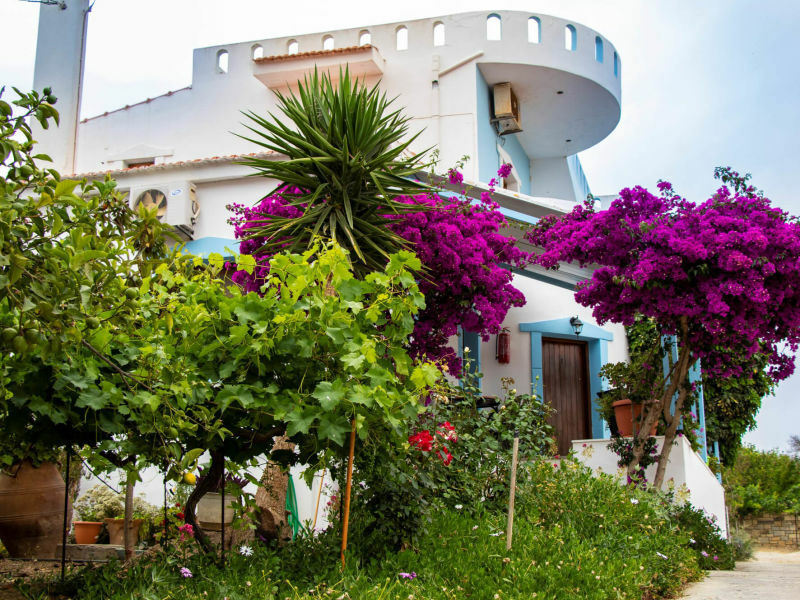 Fully-equipped Medium Apartment, Outside, 2 sun terrace. 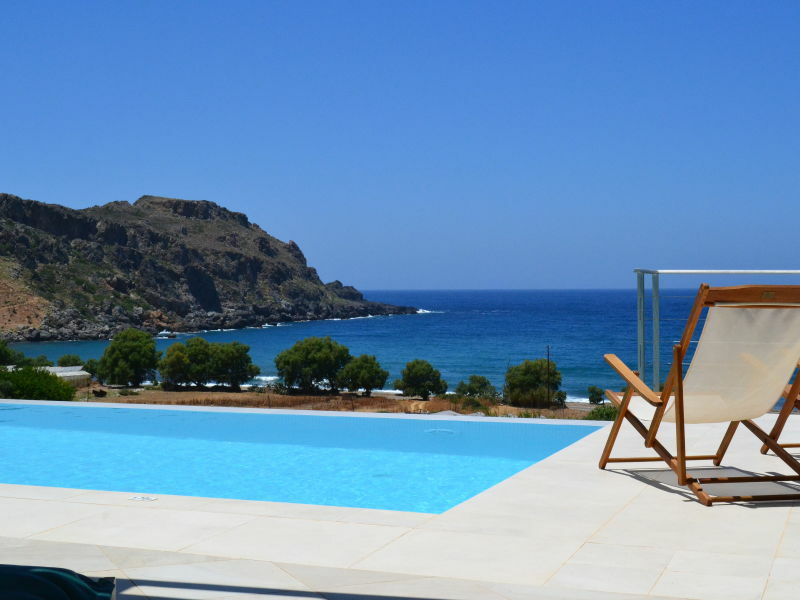 Explore the tranquillity and simplicity of Crete at our family-owned accommodation. 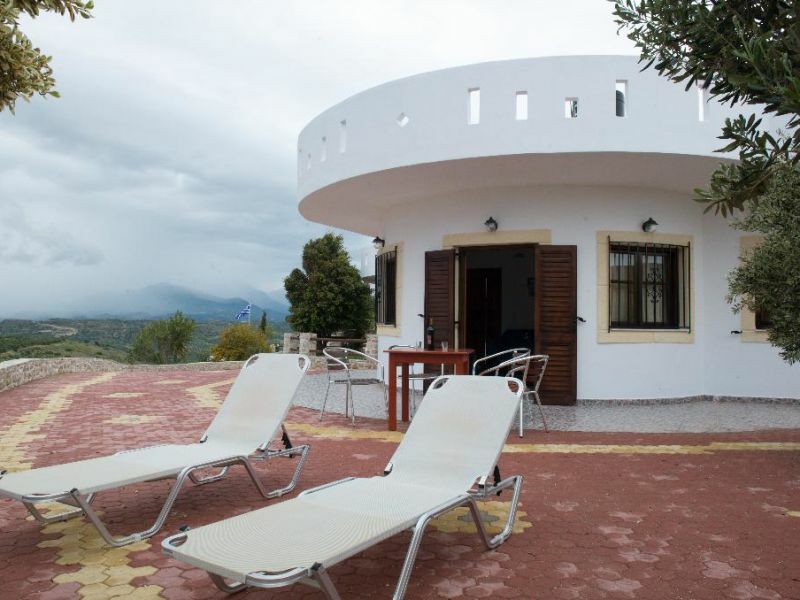 From this comfort villa you can enjoy a breathtaking panoramic view. 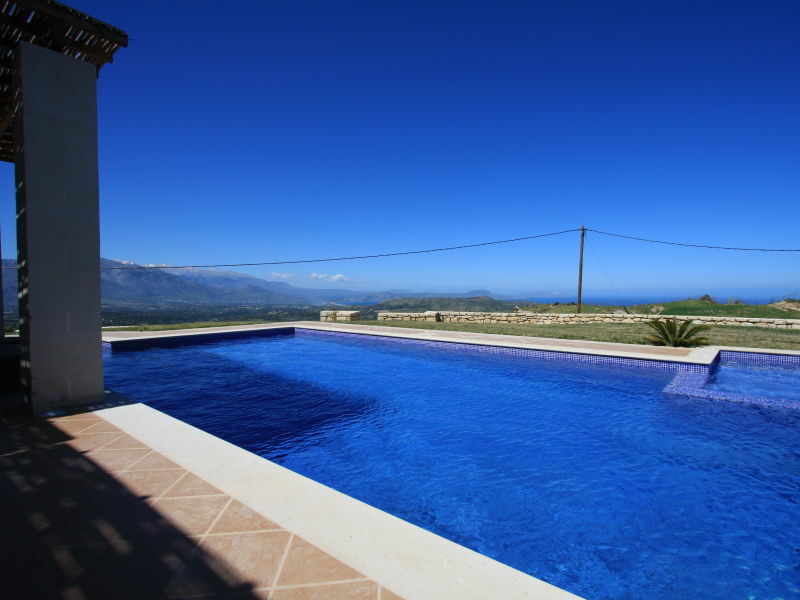 The dream home is located in the middle of a lovingly landscaped plot of land. 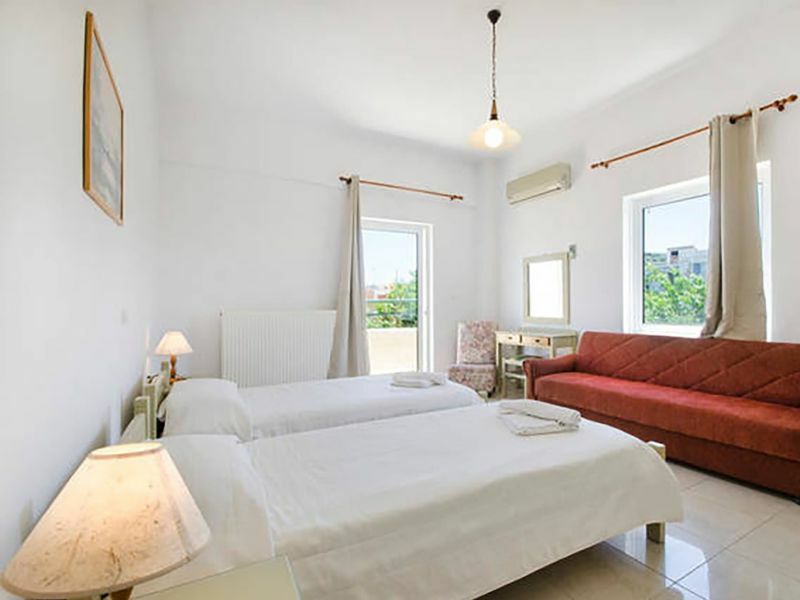 Holiday apartment "Stella in the village"